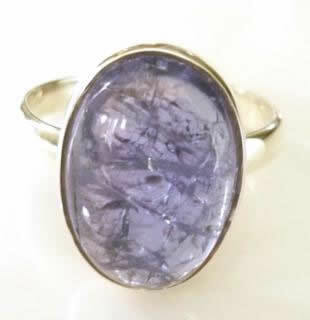 Very beautiful and unusual silver and tanzanite ring in size S only. One of a kind ring. It is set with an oval 16mm x 11mm purple/blue tanzanite cabochon. The ring shank is 3mm wide. Lovely piece of tanzanite jewellery.